Kitty Chiller, President of Modern Pentathlon Australia and the Oceania Confederation, has been honoured for her service to Olympic sport with the AM award in the General Division of the Order of Australia. The Sydney 2000 Olympian was Chef de Mission of the Australian Olympic team at Rio 2016, becoming the first woman to take charge of the team. 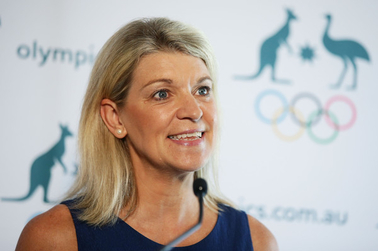 Outside of her pentathlon commitments she now works as Chief Executive Officer at Gymnastics Australia. “Kitty is unique,” said John Coates, Chairman of the Australian Olympic Committee and IOC Member. “An Olympic coach, then competitor, team manager, and ultimately the Chef de Mission in Rio, a role she carried out with great distinction. 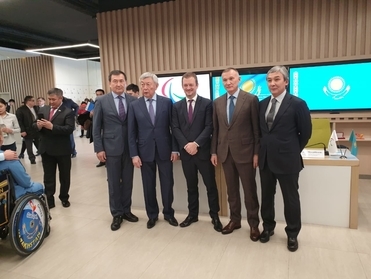 UIPM Vice-President Berik Imashev played a key role in the visit of Andrew Parsons, President of the International Paralympic Committee, to Kazakhstan on January 30-31. In cooperation with the Paralympic Committee of the Republic of Kazakhstan, a working meeting was held between Mr Parsons and Mr Imashev, who is President of the Modern Pentathlon Federation of Kazakhstan. The meeting included discussion on the development of the Paralympic movement and the improvement of results of Kazakhstan para-athletes.